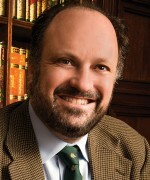 Nikolaos van Dam is a Dutch diplomat and scholar, author of a classic text on Syrian politics and sectarianism, The Struggle for Power in Syria (2011). 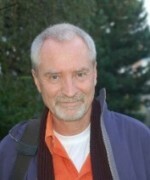 During the civil war, he served as the Dutch Special Envoy to Syria, operating from Istanbul, and had intensive contact with most of the parties involved in the conflict. 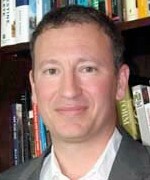 His book, Destroying a Nation, reflected those experiences. This is very difficult to predict and anything can happen. But he won’t be toppled just because of the demonstrations. If he is going to be toppled it will come from within the armed forces. But just like his father [Hafez al-Assad], he has been clever, putting trusted people in strategic places. And the troops that are taking harsh action against the demonstrators are not just military conscripts, they are his most reliable forces. 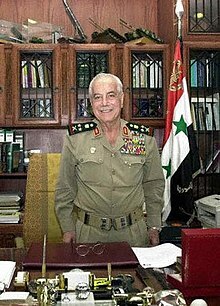 The regime has been very stable for decades because it is dominated by [Shia Muslim] Alawites, and Alawite officers are in key positions. They trust one another, they come from the same region, sometimes the same villages. It’s not so much about religion (in fact it isn’t that important) but more about the social relationships and trust. At the same time, this Alawite factor is also a weakness of the regime. It’s very difficult to transform an Alawi-dominated regime into a democracy. On the road from this dictatorship to democracy, there are many possibilities for enormous violence and for bloody conflict. In a way, it’s a miracle that the demonstrators have been able, in general, to be peaceful. I think this could be the key to their success – if they can maintain that. If you are peaceful, there is no need for the regime to shoot, to put down the demonstrations with violence. But, hypothetically speaking, if the regime were to relinquish its privileged position and move towards a more democratic system, it’s likely that the majority community, the Sunnis, would not be very forgiving or very tolerant towards these Alawis. I would expect there to be a bloody confrontation, and a strong probability of sectarian polarisation between the Alawite community and the Sunnis even though a dictatorship generally applies to the whole population. Like in Iraq – Saddam Hussein was a dictator who relied to a great extent on people from his own town, Tikrit. That didn’t mean that many people there weren’t also suffering from his dictatorship. In the same way, many, many people from the Alawite community are suffering from this dictatorship. Sometimes even more, because potentially they are more dangerous to the regime because they can operate from within. How small a minority are the Alawites? About 11%, so really a minority. There are all kinds of historical reasons why they are so heavily represented. Am I right to get the sense that you’re not really rooting for the demonstrations to succeed – because you’re worried about what will happen if they do? It would be nice if the demonstrators could peacefully bring about a more democratic Syria. But I don’t expect the regime to voluntarily give up, because they know they will be court-martialed and some might even be executed. They have also had time to see what happened to others, like President Mubarak. When he resigned, I don’t think that many people would have imagined that within two months he would be in prison or brought before a court. The president of Yemen is still in power, but he faces the same practical issue. If the people in power could get a guarantee that they would be safe… but they won’t get that guarantee, and if I were in their place I would not trust any guarantees anyway, because if other military forces take over, they will simply put them in prison and it will be a day of reckoning. It’s always gone that way. So your most likely scenario is that Assad will stay in power and make the reforms he was expected to make at the start, when the death of his older brother led him to leave his job as an ophthalmologist in the UK and take over from his father as Syria’s president? Yes. It would have been better if he had done it earlier, but the dilemma is, as we say in Dutch, if you give one finger someone wants the whole hand. He saw that with the Kurds, when he finally gave them their Syrian nationality. They should have had it all along – but when he gave it to them, they immediately wanted more. Assad faces a big challenge to survive, and he will have to make reforms. As a dictator, he does have the power to suppress these protest movements – in a peaceful manner and not just by shooting, which has already been fully shown to be counter-productive. It’s also important for him to have a dialogue with people from the opposition. He’s been rather late with that – it hasn’t really happened yet. He’s also been rather ill-advised by his entourage. These are people who over the decades have got used to a certain kind of behaviour – dictatorship, violence, intimidation and so on – and it’s not as if by pressing a button, the president can make them all behave themselves. But he cannot stay in power forever. One day he will have to get rid of the Alawite character of the regime, and that won’t happen peacefully I’m afraid. Your first book is Patrick Seale’s, Asad: The Struggle for the Middle East. 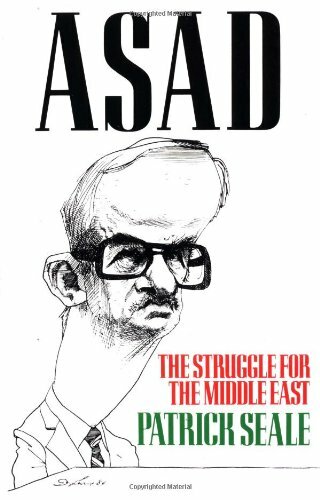 This is a biography of Hafez al-Assad, but quite a flattering one? That’s what people say, but I don’t think it’s correct. 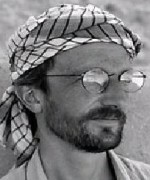 Patrick Seale was my great inspiration for studying Syria. I started with one of his earlier books, which I used at university, both when I was studying and when I was teaching. He is one of the few people who can write in such a way that it is both high quality in terms of content and also attracts a lot of readers. He’s both a very high calibre academic and a high calibre journalist. You can read this book from page one to the end, not only as an academic book but also as a thriller. The book is part of a trilogy which also includes The Struggle for Arab Independence and The Struggle for Syria. Seale has this way of interweaving personal things with the wider context of history. So the book alternates. It’s not just a theoretical history, but also highly personal about the [former] president. Patrick Seale is I think the only writer, or one of very few writers, who had personal access to Hafez al-Assad. When the book was just published, I saw the criticism that he was a little bit biased – but I didn’t see that at all in the book. Having spoken with the president on various occasions just means he had better information, it doesn’t mean he was less critical. Usually it’s called Assad’s biography, but it interweaves the wider historical context. It’s a history textbook on quite an important episode of Syrian political history, in which Hafez al-Assad was president, and also the time before he became president. If you don’t know much about Syria, what interesting things come out of the book? It looks at things that happened in very critical periods, for example during the October [Arab-Israeli] War in 1973 and how the views of [former] President Assad conflicted with those of [the then Egyptian president] Anwar Sadat. Sadat made a separate peace treaty – and the word separate is very important – with Israel. President Assad’s line was that only by having a united front towards Israel would there be a solution. Patrick Seale, also in a more recent article, referred to the disaster of Camp David. And we’ve seen that. There has been peace between Egypt and Israel, but it didn’t lead to any other real peace, even though it was in 1979, already more than 30 years ago. One of the Amazon.com reviews said the book “really changes my perspective about historical events”. I do think it’s fascinating to see these historic moments, like Camp David, from a Syrian perspective. Exactly. This is what you see in all of Seale’s books. There are a lot of eye-openers in them. On several occasions, in his latest book [The Struggle for Arab Independence], I came across things which were a real surprise. It’s not at all a dull history but a real eye-opener, not only for people who know very little but also for people who have dealt with the Middle East, including Syria, for a long time. Before this interview, you mentioned that Seale talks about Greater Syria or Bilad al-Sham. Does that notion have an impact on the way people think in Syria today? It’s less the case than it was, but it is a framework that exists in people’s minds. The area was divided up by the French and the British, who created artificial boundaries and artificial units. Under the Ottomans in that area, there were no boundaries. People could cross easily from Damascus to Haifa, or to Beirut, or they could go from Aleppo to what now is southern Turkey. There were no such borders, and the communication between Aleppo in northern Syria and Mosul in northern Iraq was, for instance, more intense than between Aleppo and Damascus. And these people still have a lot in common – their Arabic is very similar. With Lebanon and Jordan, there are borders now, and the military may wear different uniforms. But the people are very close to each other. So when we think Syria is interfering in other countries – Lebanon in particular – they probably don’t see it that way? They don’t see it that way. Lebanon is also a very specific case. These two countries are very much bound together through history, and the Maronite Christians in Lebanon play a role in this. Patrick Seale calls Syria a truncated body. It used to be much bigger, but its limbs have been cut off – Lebanon and the former Palestine, Jordan or even southern Turkey. It has a new shape. That’s also the reason why there was no strong Syrian identity, in the sense of an identity linked to the territory of today’s Syria. It was either a broader Arab identity, or much smaller than Syria – a provincial or tribal identity. 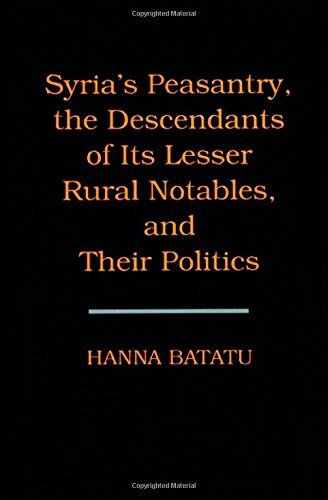 Your next book is Syria’s Peasantry, the Descendants of Its Lesser Rural Notables, and Their Politics, by Hanna Batatu. How does this fit into your picture of Syria? This is the next best book, after Seale’s, which is why I’ve put it at number two. It gives you a very rich multi-dimensional picture of what Syria really is. The peasantry and the descendants of lesser rural notables are the people who are now in power. Both the former president and the present president are descendants of peasants, people from the countryside. The book gives a very varied picture. Not all peasants are the same – you have peasants with land, without land, belonging to a certain clan or tribe, living in the lowlands or in the highlands. But they are very much represented in the regime and that’s why Hanna Batatu wrote this study. I should mention that he also wrote what I consider to be the best book on Iraq. His Syria book is shorter, it is about a third of the size of the one on Iraq, but it is almost like an encyclopaedia of the complexities of Syria, of the countryside, of people within the Ba’ath Party, the background of the Alawite officers et cetera. But it’s not just about the Alawites? No, it’s much wider, it’s about all the peasantry, and about the whole of Syria. It’s about certain politicians, like Akram al-Hawrani, who was the first to bring in the poorer people, the lower middle class from the countryside, into politics and recruited people for the military who happened to have that background. It’s a tougher book than Seale’s, but for people who are really interested in Syria it’s a highly interesting book. It hasn’t been given the place among Syria books which I think it deserves. He was a Palestinian from Jerusalem. He died in 2000. He proudly showed me, at the time, in Beirut, his manuscript of the book on Iraq, which was published later. This sequel book about Syria, is really for the fine tasters. It’s not just about the Ba’athist period, after 1963, but also a long time before – he gives a deep perspective on the time of the French Mandate, and of the Ottoman Empire. 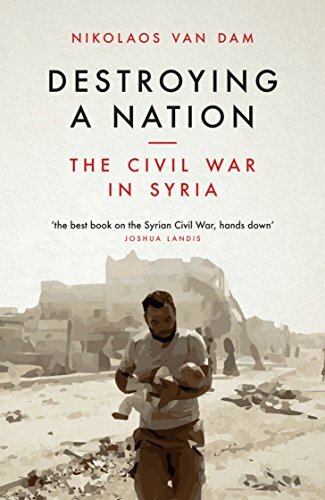 Also if you want to get to know something about the earlier history of Syria, it’s a very good book to read. As your third choice you’ve chosen a memoir that is only available in Arabic, but that you discuss at length in your own book. 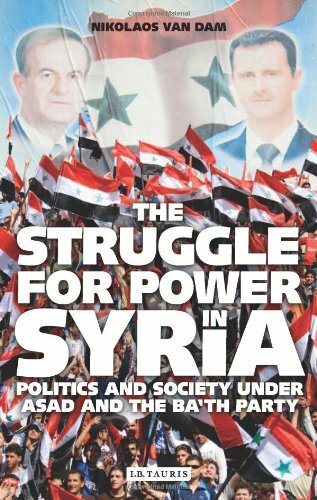 By the way, I saw in the Robert Fisk article about your book that not only is it a must-read on Syria for us foreigners, but that all members of the Ba’ath party have been urged to read it. Do you take that as a compliment? Yes I do, because generally the subject of sectarianism/tribalism/regionalism is a taboo subject in Syria. People in general, and the regime certainly, react very negatively to any talk about it, saying that it’s untrue, that it’s all polemic. They banned my book, but when the Arabic version was published in Cairo they brought big quantities with them from Cairo to Damascus and copied them. I see it as a compliment, because as Fisk says, it’s a highly critical book. The fact that they – and their opponents – took it seriously is a good thing. If you were to officially ask them they would not admit that, of course. My book has, by the way, also been used as obligatory literature in universities all over the world. So the book you’ve chosen is by Mustafa Talas, who was minister of defence for over 30 years, and it’s called The Mirror of My Life. This is to really show the inner workings of the Syrian regime and Ba’athist party, is that right? Yes, in the greatest detail. In fact, it’s almost 5,000 pages, in five volumes, and we’re still waiting for the sixth. But you’ll never find another book which is such an insider’s account of all the things that have happened in Syria under Ba’athist rule. There is one thing that he doesn’t deal with in his book – the massacre of Hama in 1982, probably because it was too painful to write about it – but he deals with almost all the other important happenings and he’s quite honest about all kinds of other developments. You would never find that anywhere else. He also writes very well. It’s not dull, he describes quite a few amusing things and it varies from the very serious to sometimes the trivial, even. But for those who really want to study the inner workings of the regime, this is an unmissable book, together with Muhammed Ibrahim al-’Ali’s My Life and Execution. The “execution” is because he was supposed to be executed on 9 March 1963, and so the coup of the Ba’athist officers was brought forward a day so they could rescue him. 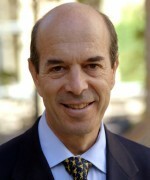 He is still at the top of the regime, having been a member of the Ba’ath Party Central Committee for more than 25 years. What story most impressed you? What I found really interesting is a story in 1984, when the brother of Hafez al-Assad, Rifaat al-Assad, wanted to take over power. He wanted to use his reliable defence platoons, where he had some 3,000 Alawites of the Murshidiyin sect in key positions. But according to both Talas and Muhammed Ibrahim al-’Ali, Hafez al-Assad persuaded them to refuse any orders from Rifaat al-Assad, and from one moment to the next, the brother of the Syrian president was left toothless. The Murshidiyin military left their units, as a result of which Rifaat’s tanks and other armoured vehicles could not move into action. This was an inside story that I didn’t come across in any other books. It shows that sectarianism, or relying on certain groups within, in this case, the armed forces, can give you strength, but at the same time if all those people join you, they may also be induced to leave you. 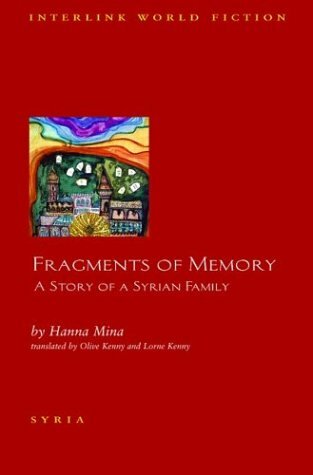 Moving on from politics, your next book is Fragments of Memory, which is an autobiographical novel by the Syrian author Hanna Mina. Yes, I wanted to choose a varied range of books so my last two are a bit different. This is a novel I happened to read which fascinated me. I didn’t know, before I read it, that Hanna Mina was one of the most well-known Syrian authors, so I was not coloured by the idea that it had to be a really good book – I was authentically really fascinated by it. Mina is describing his youth, in circumstances of poverty which I hardly imagined could exist. 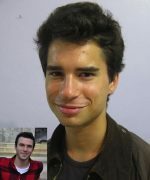 He was living in the area of the former Syrian territory of Iskenderun, in what today is part of southern Turkey, and his father worked day-to-day but was not very fortunate. I think he had two left hands, and almost never came home with money. For a long time, the family lived under a fig tree on a very dusty roadside. That’s where they had to stay all day, under a tree in the harsh sun. His mother worked in the countryside. The farmers raised silkworms, which the landlords would give to them. They would be very careful with them, because they were very, very expensive. Then, at the end of the season, they would give the landlords the end-product. When the silkworm industry collapsed because of modern technology, the farmers’ lives were deeply affected. These people were so poor that often they had to borrow money from the landlords, indebting themselves further and further. They were almost like slaves. This miserable picture of Hanna Mina’s mother and children under a tree really stuck with me. You can put a cloth on top of the fig tree to protect yourself from the sun, but you have to move it all the time as the sun moves. They had so little to eat that his mother instructed him that he should not eat before the shade reached a certain point. They had to divide what little food they had, if they had any at all. He describes the whole story of how this family is embedded in the countryside, working for the landlord, and all kinds of intricacies, including hospitality. But it was the bare necessities and the harshness of life that really struck me. When was this? How old is he now? He was born in 1924 in Latakia, and died in 2018 at the age of 94. The story starts when he was about eight years old, so in the early 1930s. Later on, one of his sisters complained that by writing all these personal things he had exposed them. They found it very shameful to be known to have been in such difficult circumstances. So this is a book from the early 20th century, but it’s fascinating. It’s an eye-opener, and he writes very well. It’s hardly imaginable that you could live under such circumstances. So this kind of abject poverty is still in living memory for many Syrians? I think most people were a little better off. But now things have changed. The position of the farmers – and you can read about this in the Batatu book [on the peasantry] – has improved substantially. That doesn’t mean that there aren’t still many poor people, but they are not being exploited by landlords. Some of them of course exploit their own people, just like elsewhere in the world. But it is less extreme. People are better off. But the kind of poverty this book describes is good to know about, not only as a story but as a reality. 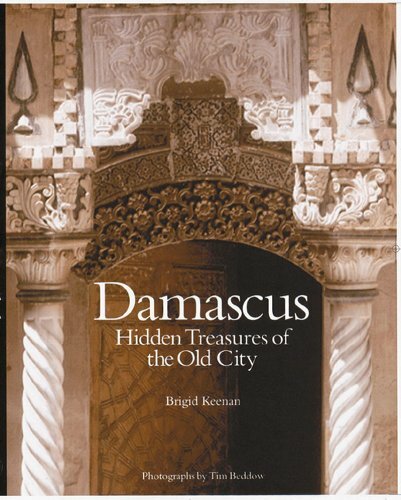 The next book you’ve chosen is Damascus: Hidden Treasures of the Old City. 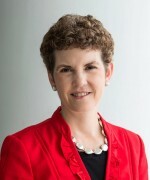 The author, Brigid Keenan, is a diplomat’s wife and she fell in love with the city? That’s right. Because if you walk around it – as I have done very frequently – there are very beautiful monuments. But if you go down the side streets, they are rather grey and you don’t have the faintest idea that behind those blind walls you can find the most beautiful houses. She, in a way, contributed to making that more public. Of course the traditional Syrians were aware of these houses, but many of them had deteriorated. What is new now in Damascus, and also in Aleppo in northern Syria, is that many of these old houses have been renovated and restored, and sometimes also changed into hotels. When you stay there it gives you an idea of living in that atmosphere, which is very nice. You go through a very dusty street, not even the door is at all luxurious, and then all of a sudden you enter into a kind of oasis of beautiful decoration, mosaics, stonework and so on. So she and the photographer, Tim Beddow, opened this world up to the public. It’s a general book, but it has good descriptions of these houses and the families who owned them. Would you say Syria is a lovely place to visit on holiday? Oh yes! I think many people would be amazed. In Damascus you have many historic places, the wonderful souqs or traditional markets. The same is true in Aleppo. Aleppo has the most beautiful traditional markets, 12 kilometres at least of covered streets where you find all kinds of small shops. I find it fascinating walking through these streets, soaking up the local atmosphere and smelling the rich aroma of oriental spices. Then you have the older cities like Palmyra or Afamia and the crusader castles. I think many people wouldn’t have the faintest idea of what kind of beautiful things Syria has to offer. This book about Damascus lifts the tip of the veil of the many, many beauties that Syria has. That’s the metaphor she uses, isn’t it, that Damascus is like a beautiful woman behind a veil? That’s right. You just wouldn’t know. Also in Aleppo, I spent a lot of time there, but it was only later on that I discovered a certain quarter, the mainly Christian quarter of al-Jdeida, where you have beautiful traditional houses and alleys. There is also the central citadel. Syria has a lot to offer, but it is not always visible to the outsider. This probably also has an effect in the political sphere. Sometimes if people like a country culturally, they are more inclined to be positive. I know Syria very well, but many people have preconceived ideas about it. Also, if you really want to know about Syria you have to spend time there. You can get to know a country through books, and that’s very important. But if you have the luxury or the possibility of combining that with a personal visit, that’s even better. What do you think of the sanctions that have been – or are being – imposed on Syria by the US and the EU? In my opinion they are not going to help at all. What is usually missing in these cases is the dialogue. Because if you only impose sanctions, and you don’t talk or communicate with the Syrian government or the Syrian president, nothing positive will come out of it. I have seen it in many other cases – in Iraq, in Iran and other countries. The US also waited a long time to appoint an ambassador to Damascus, almost as if it were a privilege for the Syrians to have an American ambassador. As a result, he doesn’t have good access. If your government is talking only about sanctions, and telling the Syrians what to do, you’re not going to get very far. If you want to influence the president, you have to talk to him. If he only sees his foreign bank reserves have been frozen and that he cannot go to Marbella in Spain for a holiday, that’s not going to persuade him or his subordinates to act differently. You can impose sanctions, but if you don’t communicate at the same time you can be sure that you’re not going to contribute to a solution.